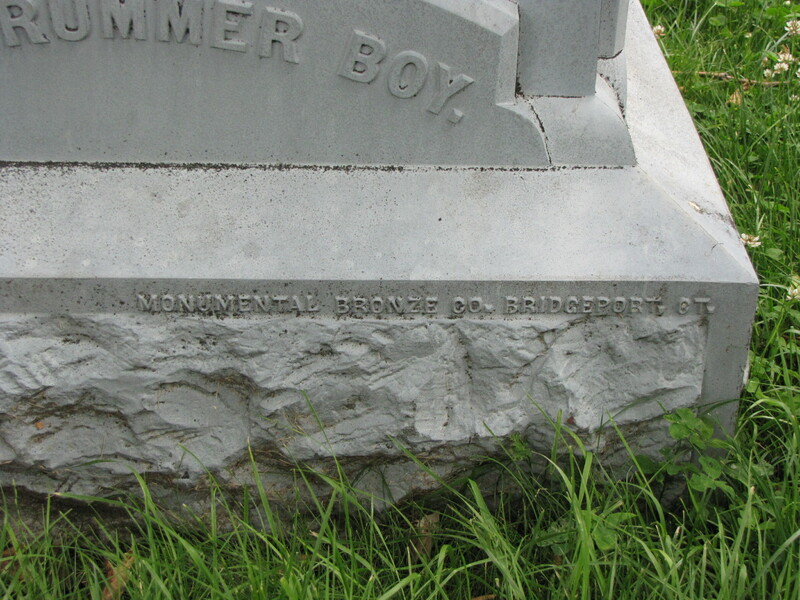 The Monumental Bronze Company of Bridgeport, Connecticut, produced “white bronze” cemetery markers and monuments in a wide assortment of sizes and shapes including statues like the one produced for and in the likeness of 12-year old Clarence Mackenzie found at the Green-Wood Cemetery at Brooklyn, New York. 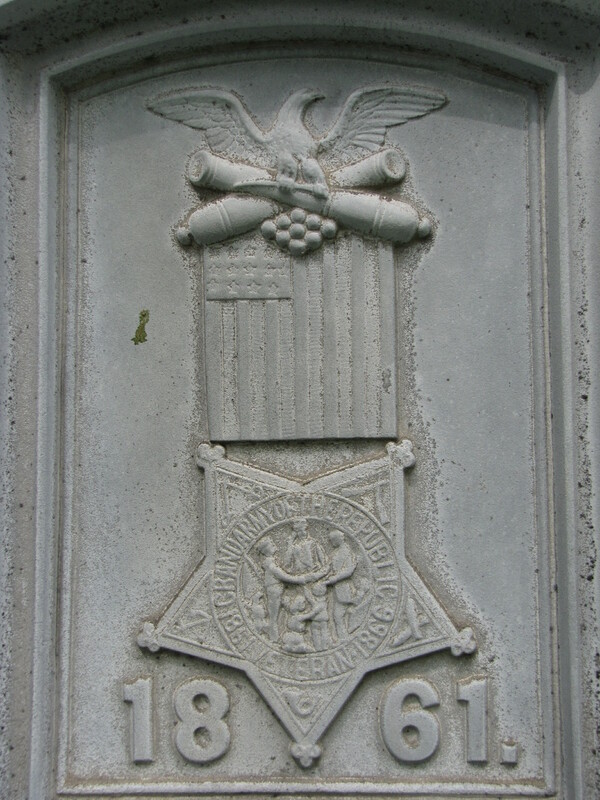 The monument is adorned with symbolism. The corners display artillery cannons pointed downward. One panel is emblazoned with the G.A.R. flag ribbon and star while another shows two flags with their staffs crossed. 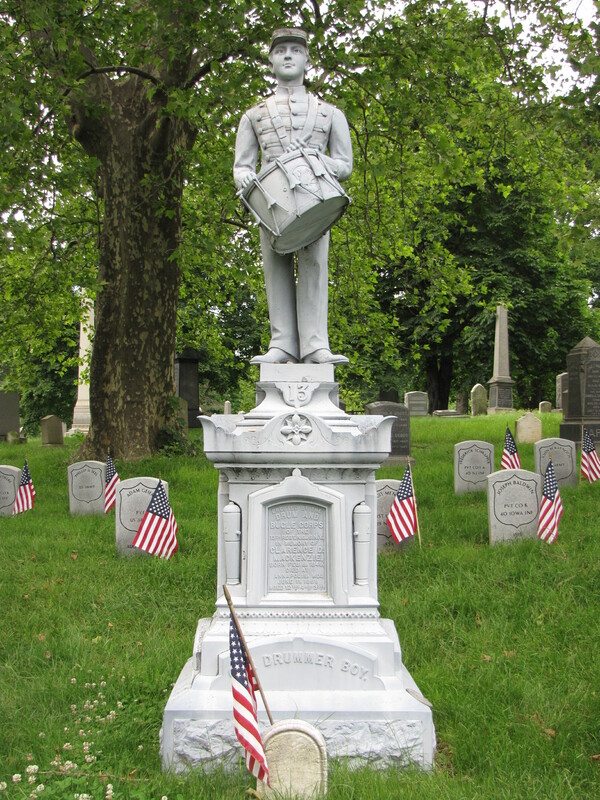 The number “13” is centered just below his feet representing the regiment in which he served. The panels tell part of his story. 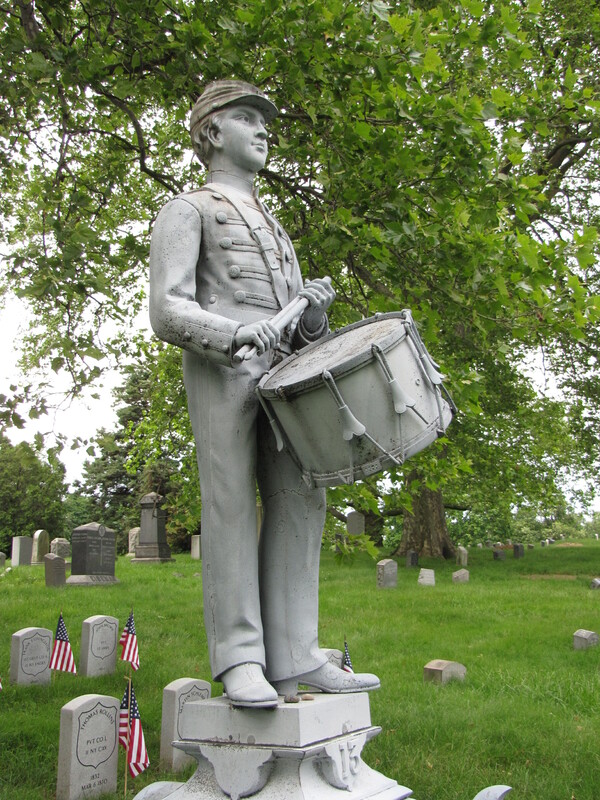 The drummer boy was shot in his tent by an errant bullet from soldiers practice shooting close by. Clarence never saw the battlefield and yet was the first casualty of the Civil War from King’s County.